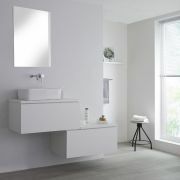 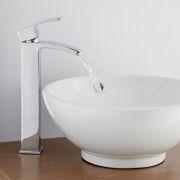 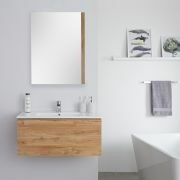 Reinvent your bathroom and give it a fresh, modern feel with the wall-mounted Milano Oxley 800mm vanity unit and basin. 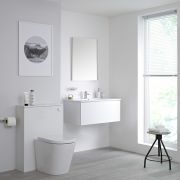 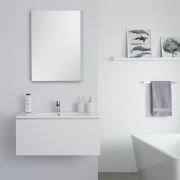 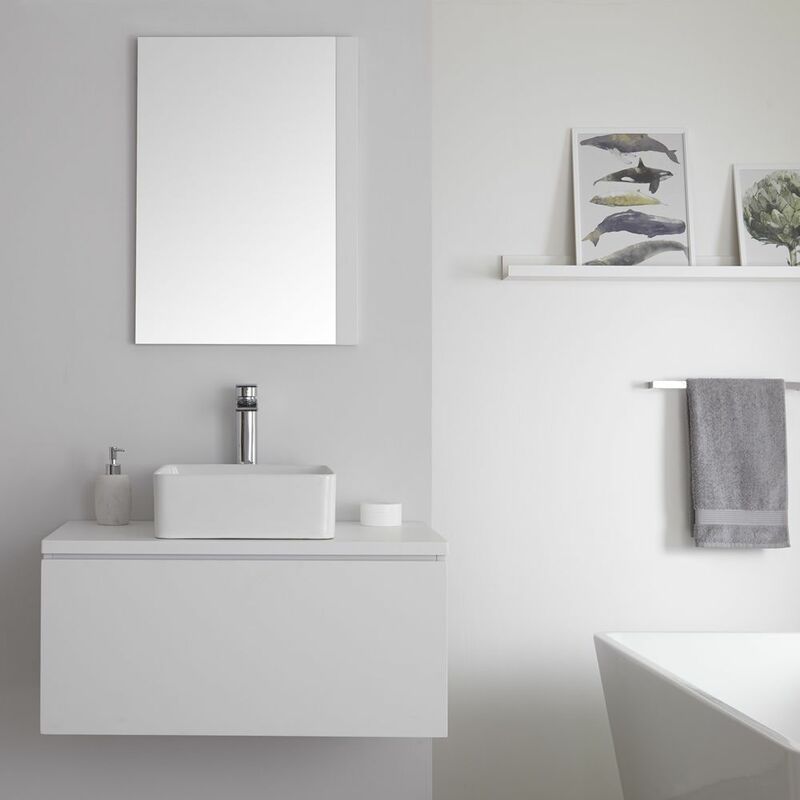 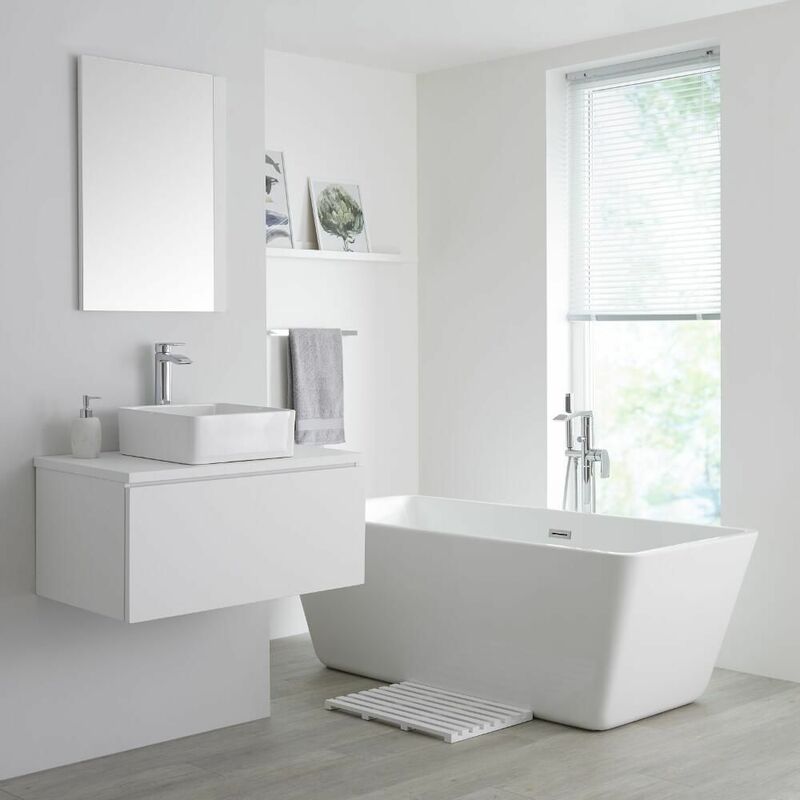 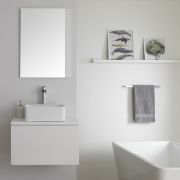 Offering a contemporary styled storage solution for your bathroom, the Oxley vanity unit is made from moisture resistant engineered wood for strength and long-lasting durability and finished in an attractive matt white. 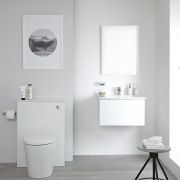 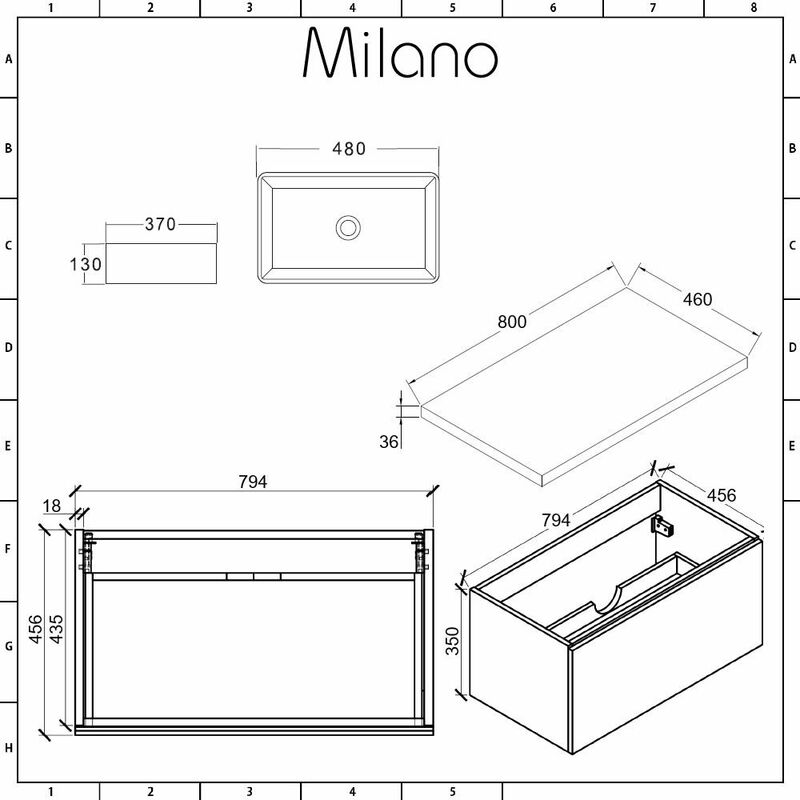 Storage for your bathroom essentials is provided courtesy of a generous push to open soft close drawer, helping your bathroom stay neat and tidy. 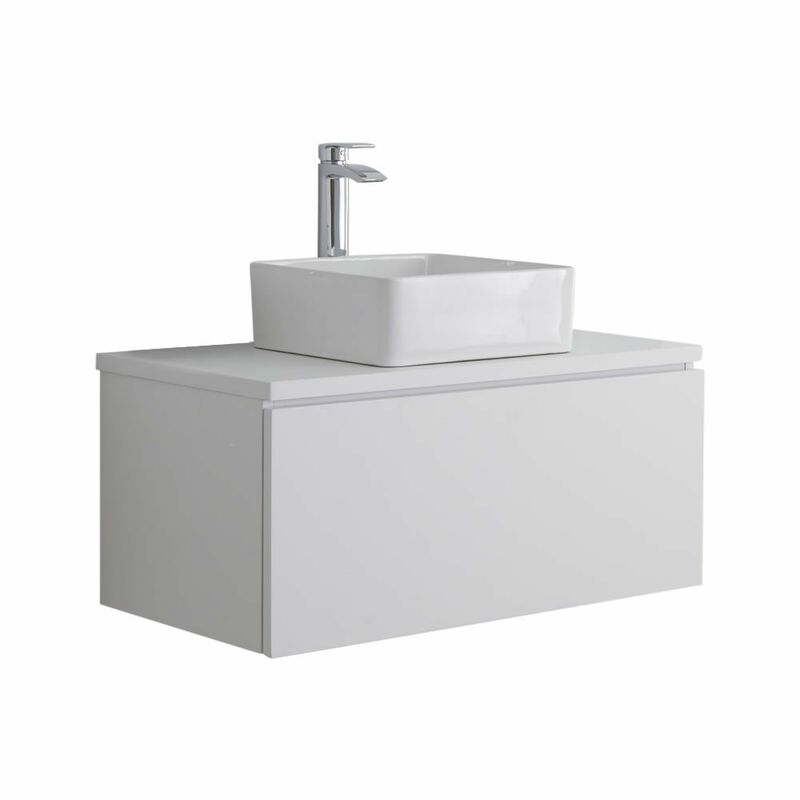 The vanity unit includes a rectangular countertop basin made from high quality ceramic with a white glaze finish for easy cleaning. 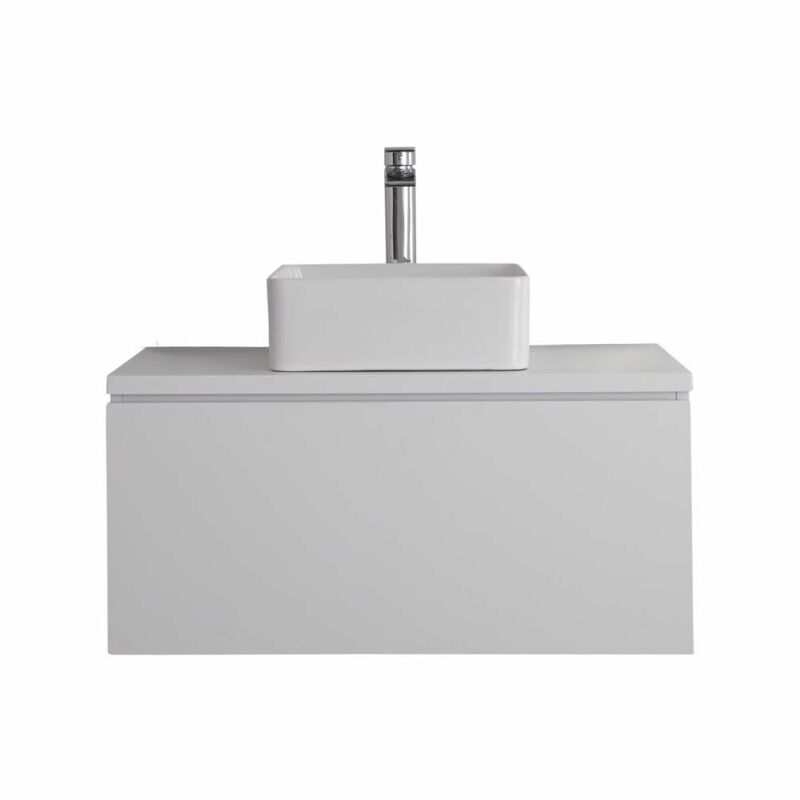 The basin isn’t fitted with a tap-hole, making it possible for you to customise the final look with any of our wall-mounted or high-rise taps.